Calgary Court of Queen’s Bench Justice Gillian Marriott found Saskatchewan’s Great Western Brewing Company is entitled to receive $1.9 million in restitution. Ontario-based Steam Whistle Brewing is eligible for $163,964. A judge has ordered the Alberta government to pay nearly $2.1 million in restitution to two out-of-province breweries after she found beer markups that favoured Alberta craft brewers violate the Canadian Constitution. Calgary Court of Queen's Bench Justice Gillian Marriott found Saskatchewan's Great Western Brewing Company is entitled to receive $1.9 million in restitution. Ontario-based Steam Whistle Brewing is eligible for $163,964. In a decision Tuesday, Marriott found the per-litre markup schemes — introduced by the government in 2015 and changed in 2016 — violated section 121 of the Constitution. The ruling was heralded by Michael Brennan, president and CEO of Great Western Brewing. "We are very pleased with the result," he said. "We think it was the right decision and look forward to moving ahead in the Alberta market." Brennan said the amount of restitution could still be adjusted, but the company plans to reinvest the money back into its operations. He says management and employees made sacrifices after sales dropped following the markup changes. The court decision marks the second major setback this month to the province's much-touted program to grow Alberta's craft brewing industry. In a decision released June 11, a three-person panel ordered the government to repeal or amend the Alberta Small Brewers Development Program (ASBD) within six months. Calgary beer importer Artisan Ales laid a complaint about the program with the Agreement on Internal Trade. The panel found the ASBD to be non-compliant. 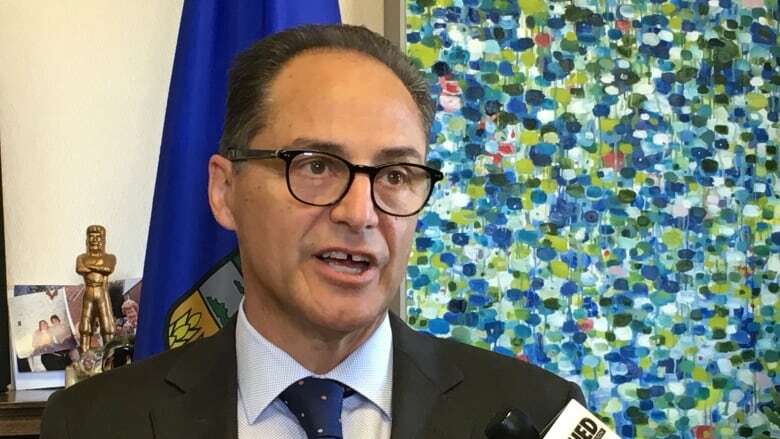 On Wednesday, Finance Minister Joe Ceci, who is in charge of the Alberta Gaming and Liquor Commission (AGLC), said the government will be revising the program in a way that will still help the province's small craft brewers. "I am the finance minister of Alberta so I care about the brewery industry in this province," Ceci said. "We're going to find ways to support them that don't have the same challenges and difficulties the previous program had." The official Opposition United Conservative Party said Ceci should spend more time "developing thoughtful policies." "Here we see yet another court decision striking down the NDP's protectionist beer policies, this time costing taxpayers over $2 million in restitution payments," said UCP finance critic Drew Barnes. The central issue in the debate is how much tax each brewery pays through a markup applied to every litre of beer sold in Alberta. The first scheme was introduced in 2015. Beer produced in Alberta, British Columbia and Saskatchewan was given a lower markup per litre compared to beer produced in other parts of Canada. The markups varied depending on how much each brewery produced. That was challenged by Steam Whistle, whose markup jumped from 48 cents a litre to $1.25. The company was granted an injunction in 2016, allowing it to continue to pay the lower markup. The government changed the system in the summer of 2016, applying a markup of $1.25 to every litre of beer regardless of where it was produced. But small Alberta craft brewers receive monthly grants to make up the difference between the lower 2015 markup and the uniform 2016 amount. That's when Great Western Brewing took Alberta to court. Marriott extended injunctions allowing Steam Whistle and Great Western Brewing to continue to pay their old markups for six months so the Alberta government can change its rules.